This year saw a healthy mix of first timers and gnarly veterans setting their sights high and achieving S.R status. Great to see such enthusiasm in a non PBP year, particularly as there was only one opportunity to ride a 600k in the country this year. Orchestral manoeuvres in 2016 saw Richard Guthrie leaving his qualifying 300 until the last possible date in the calendar. A calm head saw this Phoenix C.C rider completing the Antrim 300, to achieve the tightest ever SR in the history of Audax Ireland. A quick check through the paperwork, prior to ordering the medals from Paris, revealed another rider still capable of completing an S.R in the last breath of 2016. A big pat on the back to Justin Hunter for completing The Dying Light on the last possible day of the year. 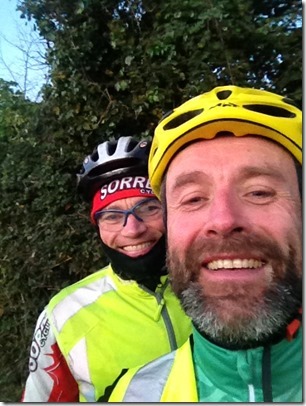 Canny riding by the first time Super Randonneurs. 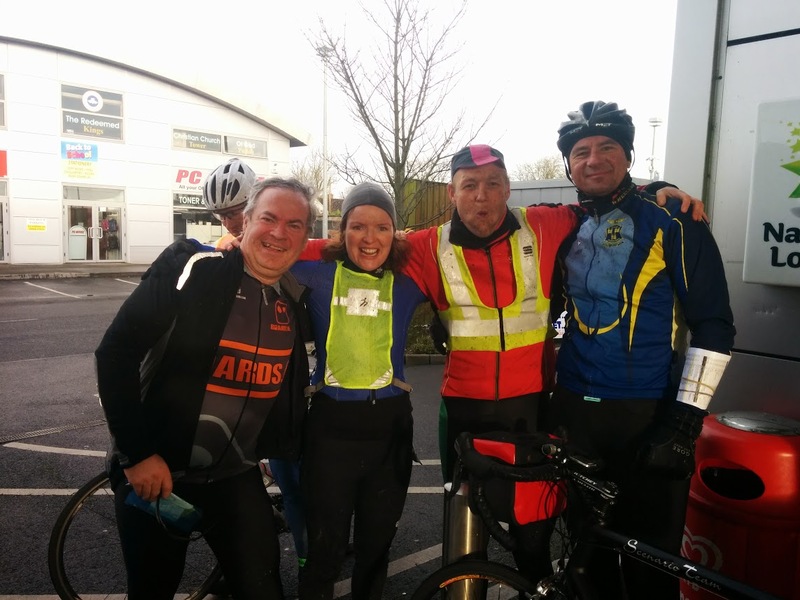 Audax Ireland webmaster, Pat Doocey completed another S.R in the esteemed company of fellow Navan R.C clubmates: Brian Fitzpatrick, Paul Philips and Stephen Sweeney. Lucan C.C milemuncher, Daniel O’Sullivan and Moynalty C.C’s, James Smith successfully became first time Super Randonneurs. In doing so they also became the first riders from their clubs to do so. 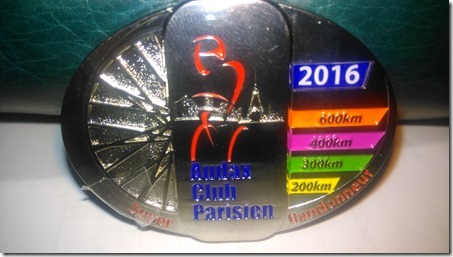 Congratulations are also due to Paul Willock( Audax Ireland) and Jonathon Verry ( Ballina C.C) on becoming first time Super Randonneurs. On the gnarlier end of the scale, multiple S.R’s were recorded by Danny Moriarty( Orwell Wheelers), William Finnane( Wolftrap C.C) and John McElroy(Bray Wheelers). 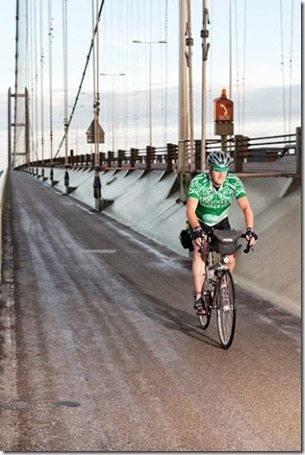 Audax Ireland were represented by William Dickey, Patrick Dease, Seamus O’Dowd and Uncle WAWA Eamon Nealon. Left to right Conor Daly, Helen Kerrane, Stuart McLean (eating as usual), and Andreas Voigt all finished the very enjoyable (if a little muddy) GHEIMHRIDH 200 Saturday, and so, having completed approved Brevet rides of at least 200k each month for 12 consecutive months, became Randonneurs Round the Year. Paul O Donoghue and Noel Moloney also completed their RRTY last Friday by riding the Ardattin 200 as a permanent. There may be more finishers later in the month as you can also use permanents for this award, so if you cannot make any “Calendar” events, you can keep your run going . Also, remember the award is for any 12 consecutive months – so any time is a good time to start, continue or finish! 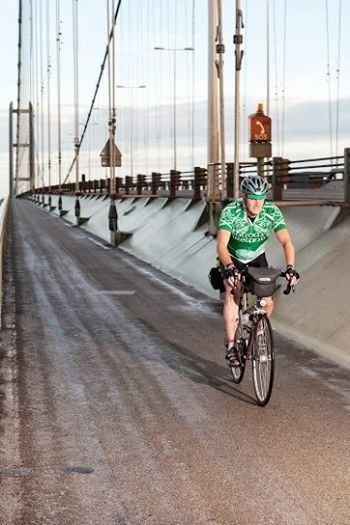 Secretario Niall crosses The Humber Bridge, LEL 2013, on his way to becoming Audax Ireland’s latest recipient of the Randonneur 5000 medal. Good show Niall.